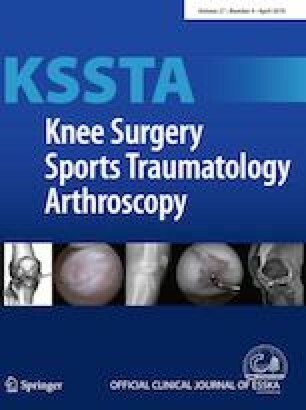 This systematic review intends to give an overview of the current knowledge on how allografts used for the reconstruction of cruciate ligaments and menisci are integrated and specifically perform regarding their biomechanical function. Two reviewers reviewed the PubMed and Central Cochrane library with focus on the biomechanical integration of tendon ligament and meniscus allografts. The literature search was conducted in accordance with the PRISMA statement for reporting systematic reviews and meta-analyses. The analysed literature on tendon allografts shows that they are more vulnerable to overstretching in the phase of degradation compared to autografts as the revascularization process starts later and takes longer. Therefore, to avoid excessive graft loads, allografts for cruciate ligament replacement should be selected that exhibit much higher failure loads than the native ligaments to counteract the detrimental effect of degradation. Further, placement techniques should be considered that result in a minimum of strain differences during knee joint motion, which is best achieved by near-isometric placement. The most important biomechanical parameters for meniscus allograft transplantation are secure fixation and proper graft sizing. Allograft attachment by bone plugs or by a bone block is superior to circumferential suturing and enables the allograft to restore the chondroprotective biomechanical function. Graft sizing is also of major relevance, because too small grafts are not able to compensate the knee joint incongruity and too large grafts may fail due to extrusion. Only adequate sizing and fixation together can lead to a biomechanically functioning allograft. The objective assessment of the biomechanical quality of allografts in a clinical setting is challenging, but would be highly desirable for monitoring the remodelling and incorporation process. Currently, indicators like ap-stability after ACL reconstruction or meniscal extrusion represent only indirect measures for biomechanical graft integration. These parameters are at best clinical indicators of allograft function, but the overall integration properties comprising e.g. fixation and graft stiffness remain unknown. Therefore, future research should e.g. focus on advanced imaging techniques or other non-invasive methods allowing for in vivo assessment of biomechanical allograft properties. The online version of this article ( https://doi.org/10.1007/s00167-018-5185-y) contains supplementary material, which is available to authorized users.